And look how cute it looks! I didn’t even take the hardware off to paint it! I went all in for that shabby look and painted hardware and all! 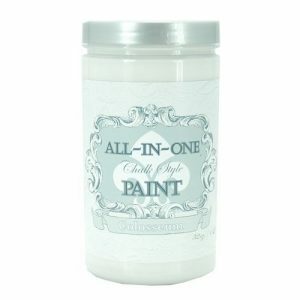 And I used a fabulous paint called ALL in ONE by Heirloom Traditions that is so easy to work with and doesn’t require a sealer. I chose the color Colosseum for the dresser AND the barn wall and have it listed in my Amazon Influencer shop here. AND….if you are wanting to paint a dresser for your nursery…check out my blog here with very helpful tips on when to prime before painting. I am thrilled with the entry into this nursery. I love that the layout offered this little “nook” area that we were able to set the tone before you really fully entered the room. The little shabby chic bookshelf was Matti’s grandmothers. I gave it one quick coat of paint just to freshen it up! 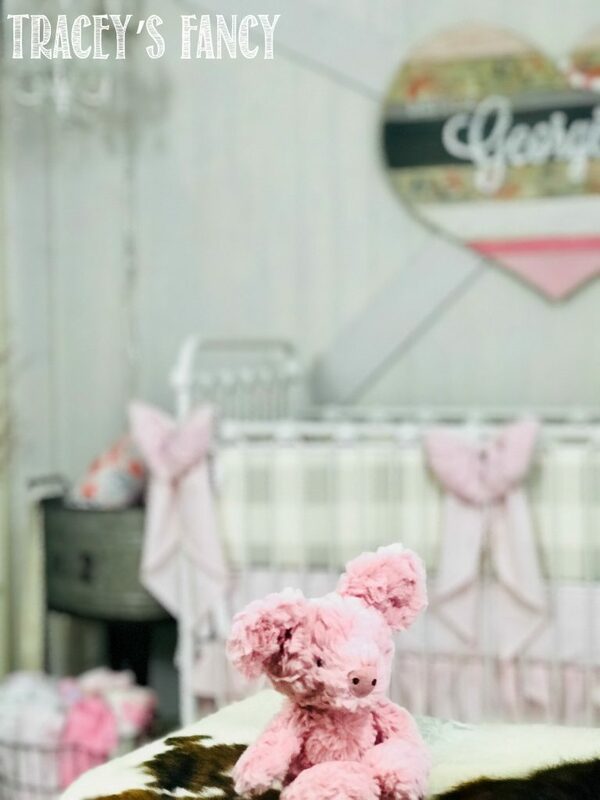 So can we talk about those adorable DIY steer and pig prints now???? These were totally Matti’s idea….and I just built on it a bit. Matti ordered the prints online and had them printed at Office Depot. 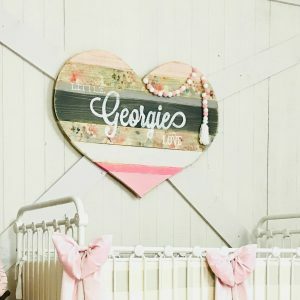 I threw together two wood signs with cedar fence boards….and we had a craft hour! We used One-Gel to decoupage the prints onto the plank signs….let it dry…..cut the paper between the boards….sanded and distressed….and gave a final coat of One-Gel! I honestly think they are Matti’s favorite thing in the room!!! So are you ready to see Tucker’s side of the room???? It is a perfect space for a 6-yr-old boy to retreat for the night!! Tucker is a “man’s man”…LOL! He prefers to be in the garage or out in the yard working with his dad. He spends very little time in his room. And remember…..he visits every other weekend and one night per week. He is very happy with his new BIG BOY bed….as we chose to upgrade his twin to a full….and this made his day! 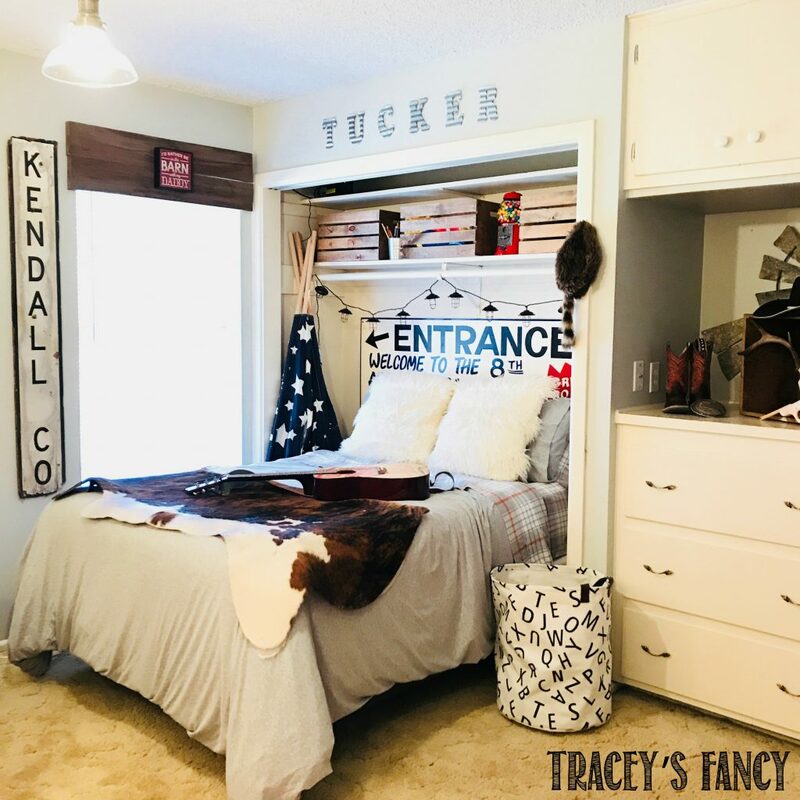 His daddy hung the old salvage rodeo sign as his headboard….and the “trash to treasure” Kendall county sign for him. Both of these I found in their GARAGE!!! LOL! I used some of the same wall art cedar fence boards to build a topper for the window. And Matti found the perfect sized wooden crates to hold some of his toys on the shelf. And how about that dreamy tepee in the corner????? And then to be completely honest….as I dug through Tucker’s toy box to find props….I found that coonskin cap….boots….belt & buckle…..and toy gun! This room design is obviously COMPLETELY fitting for this little dude! As Tucker lies on his bed at night….this is his view of his new baby sister Georgie’s bed. It is my hope that he will feel close to her…and want to protect her….for all their lives as siblings. I sincerely hope that you have enjoyed this story as much as I have enjoyed sharing it with you! I cannot say it enough…..I am always so honored to be included in the process of planning a nursery with mommas and families! I really try to keep the experience light and stress free. It should be a fun time! 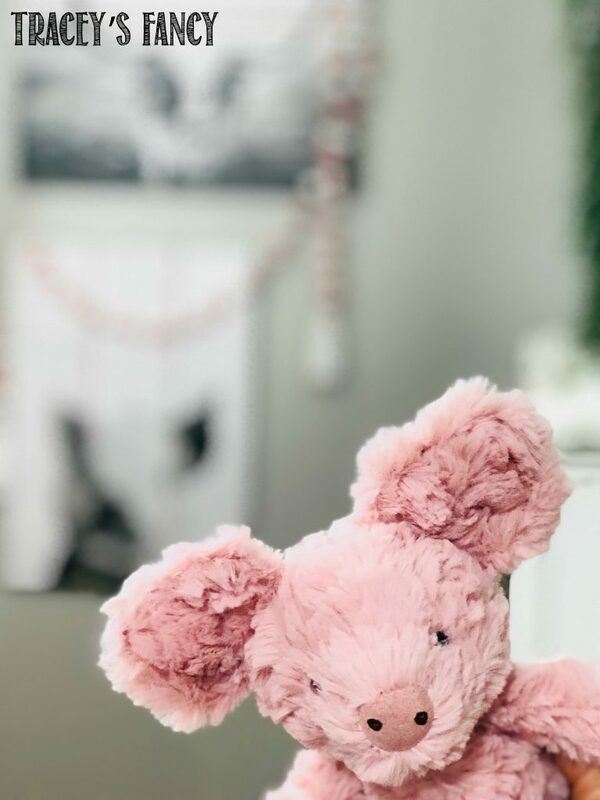 No matter the budget…..the situation……the space……the timing…….there is ALWAYS a way to carve out a special place to welcome a new baby into this world! 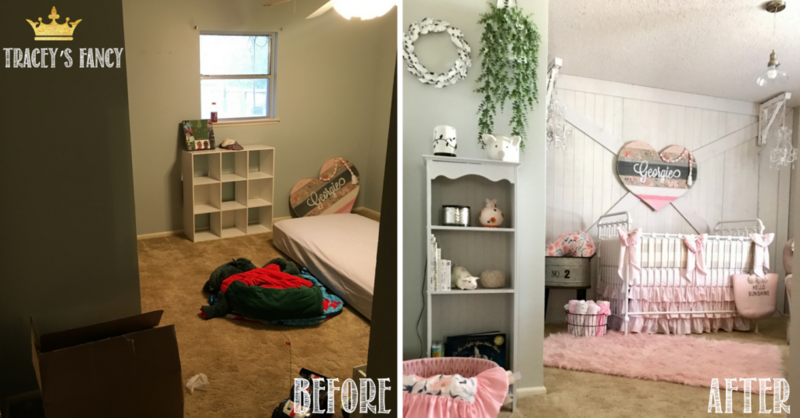 One last look at the before & after pics before we say goodbye! 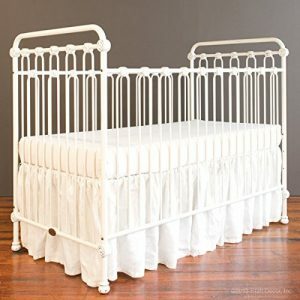 If you are looking for extra help designing a nursery or bedroom — I am here for you! 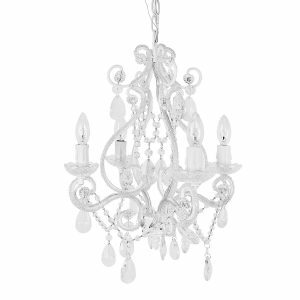 I would LOVE to help you design your space. 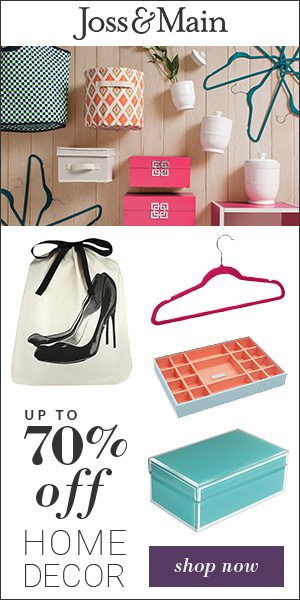 Check out my design service offerings here. 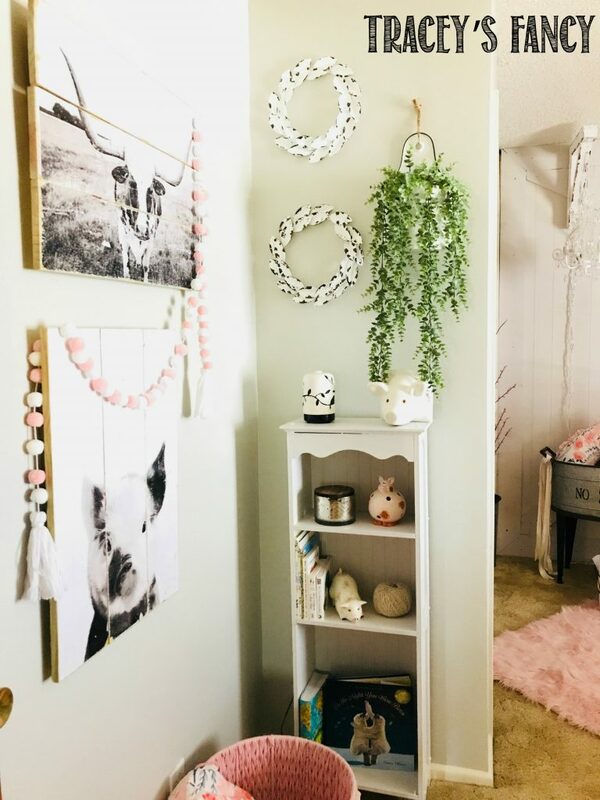 If you’d like see more of my future painting projects and room designs — please sign up to get my blog newsletter here. 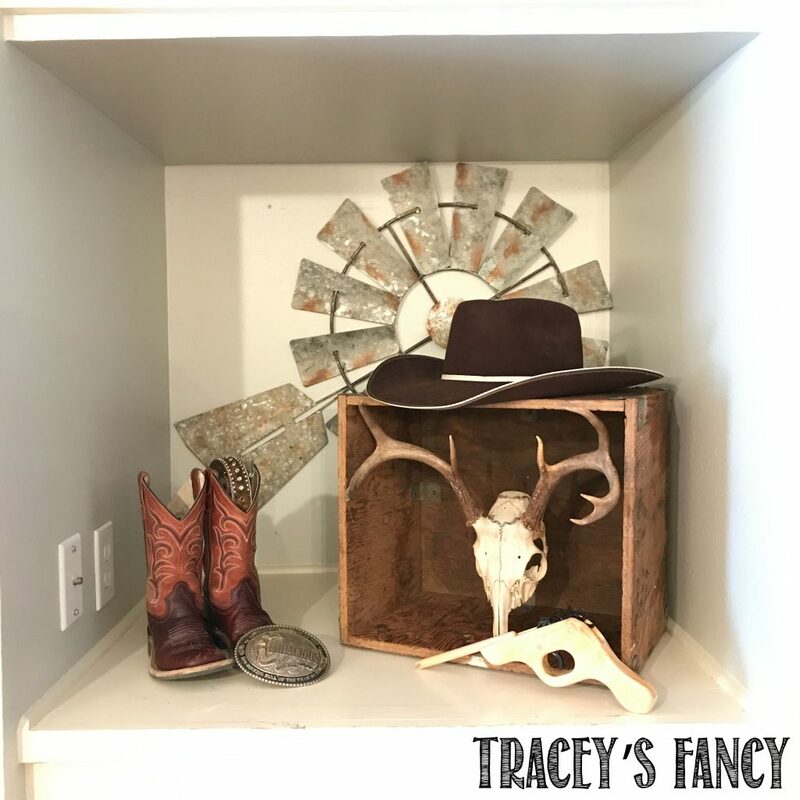 Also find me on Facebook @traceysfancy — I love to share painting tips and advice and highlight furniture makeovers from my followers! I would love to hear from you there! 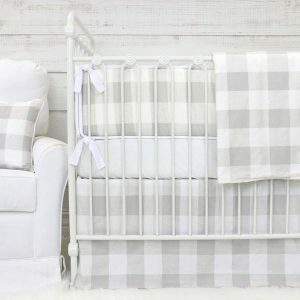 Please please please share my Farmhouse Nursery pins on Pinterest & follow me here. Another INCREDIBLE transformation! You never cease to amaze me!